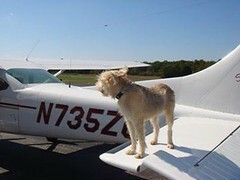 Pilots N Paws is an online forum that connects animal rescue groups and volunteer pilots for the purpose of transporting homeless animals by air to locations where they have a better chance of being adopted. The site's mission is to provide a user-friendly communication venue for those who rescue, shelter and foster animals and pilots and plane owners willing to facilitate the transportation of these animals. The ultimate goal is to reduce the number of homeless animals that are euthanized solely because there isn't enough room at the shelters. On September 18, pilots and other volunteers will participate in the "Pilots N Paws Gulf Coast Rescue Flyway" with the hope of relocating over 160 homeless dogs from the Gulf Coast disaster areas to shelters and fosters in other parts of the country. Many of these dogs had families who loved them who are now victims of the oil spill. But their families have lost their jobs, their homes and their way of life. They are struggling to survive and are no longer able to care for their pets. Subaru and Petmate are corporate sponsors for the Gulf Coast Rescue Flyway. They are each providing invaluable support to the mission , Petmate is providing crates for the transport, and Subaru is providing assistance to the pilots with special t-shirts, cars and drivers to shuttle them to and from the airport to the hotel. Patty Meehan, a Best Friends volunteer, is personally involved in this upcoming rescue effort. Patty volunteers with Lafayette Animal Shelter, one of the organizations that will be sending dogs out of the Gulf Coast region to new homes during the Flyway. Patty recently launched a nonprofit organization called Friends of Lafayette Shelter (FLASh). During a four-day fundraising effort, she raised $1,600 that will help fund this transport mission. Patty and her fellow shelter volunteers have been working hard to get 20 dogs ready for the September 18 flights, including grooming, vetting and spay/neuter. With the help of the Pilots N Paws website, rescuers and foster homes in high-kill areas connect with their counterparts in areas of the country where there is a shortage of adoptable animals. The sending and receiving entities link up with a volunteer pilot who provides transportation and a new life for the animals. The pilots donate their time, their aircraft and their financial resources to accomplish the transports. Through the on line discussion board, volunteer pilots and rescues post and exchange information about transports publicly so that they can set up an entire transport and share all information necessary to successfully accomplish the goal of saving more animals. Others who access the website can offer their assistance by transporting animals between the rescue and the airports, donating needed supplies and giving the animals a place to stay overnight during the transport. Debi Boles is the Co-Founder of Pilots N Paws. She says the general public needs to be reminded about how important it is to be a responsible pet owner. "The problem of overcrowding is totally within our control. By altering your pets, you are in fact saving a life from euthanasia, it's that simple. Why not make a difference? There are so many things that we are not in a position to change but we can make this change. Until this occurs, Pilots N Paws will be here to do our best to give these abandoned and neglected animals a second chance by saving a life with a flight. We also are in need of more volunteer pilots. The flights are tax deductible because we are a 501c3 charitable organization and the FAA considers our flights humanitarian." Debi estimates that in 2009 several thousand animals were transported as a result of connections made on the Pilots N Paws website. She doesn"t keep exact figures on the transports - "we provide the medium for people to connect, answer questions if need be, and they literally take charge and accomplish the mission - it is truly the best of humanity working together for these animals." To make this life-saving, heart-warming event (and future events) a success, more volunteers are needed. Pilots can register online to fly pets from shelters to their foster or forever homes. Foster homes (both short and long term) are needed for overnight stays en route to their new homes and longer periods while adopters are found. Local shelters are always in need volunteers who can help walking dogs, cleaning cages, screening potential adopters, and transporting animals to adoption sites. In addition to volunteer roles, there are other ways to help. 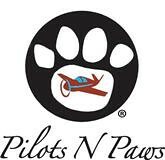 You can spread the word of the Pilots N Paws mission by telling your local animal shelter about Pilots N Paws and asking the manager of small local airports to let pilots know about Pilots N Paws. You can download the informational flyer from the Pilots N Paws website, print it out and put it up in all the airports you visit. 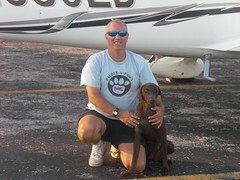 Monetary donations to Pilots N Paws and local rescue groups and shelters are usually tax-deductible. Consider taking one of the rescued pets into your own home.